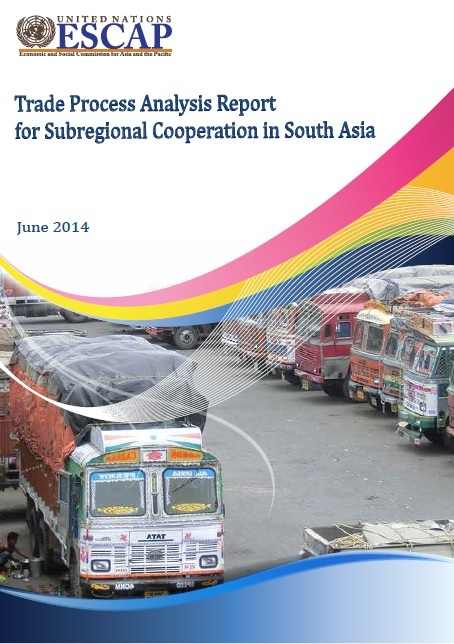 This regional study consists of four coordinated country studies of Bangladesh, Bhutan, India and Nepal, conducted on three regional corridors offering a detailed picture of the business processes associated with importing and/or exporting selected goods from or to other countries within the South Asia Subregional Economic Cooperation (SASEC) Program. Relevant procedures were identified and mapped using a common methodology outlined in the UNNExT Business Process Analysis Guide to Simplify Trade Procedures. The corridors selected in this study are integral part of SASEC corridors and constitute some important border crossings and transit routes passing through India that are immensely important for economic exchange of goods and services across borders. Six important products are selected in this study, namely, lentil, carpet, lead acid accumulator (LAA), crude soya bean oil (CSBO), orange, and fruit juice. These are the products that are being transported along three SASEC corridors for sub-regional and international trade. The products selected for BPA analysis indicate not only the spatial importance of the corridors in carrying trade in the sub-region but also link with a growing supply chain across borders.